N174 Peter Jackson. This format of N174 has the pink cards. 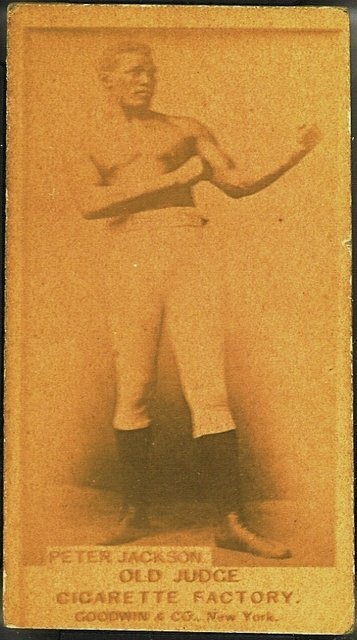 Jackson was the best of the 19th century black heavyweight contenders, denied a shot by Sullivan. He and Corbett fought to a draw.